CHICAGO (WLS) -- ABC 7 put you in the driver's seat with a spectacular preview of the 2017 CHICAGO AUTO SHOW on Saturday. ABC 7 PRESENTS THE 2017 CHICAGO AUTO SHOW, hosted by Mark Giangreco and Jim Rose, was a live, hour-long special showcasing all of the bells and whistles that come with some of the finest driving machines the industry has to offer. ABC 7's Tracy Butler, Jerry Taft, Cheryl Scott, Roz Varon, Val Warner, Ryan Chiaverini, Ji Suk Yi and Ravi Baichwal also contributed. An encore broadcast of the live special will air on Saturday, February 11 at Midnight and Sunday, February 12 at 1 PM on ABC 7. Part 1 of the hour-long special showcasing all of the bells and whistles that come with some of the finest driving machines the industry has to offer. During the special, Auto Show Chairman Mike McGrath, Jr. joined hosts Giangreco and Rose for a tour around the 1-million square foot showroom to reveal some of the hottest cars with the biggest "wow" factors including a few surprises from Hollywood. Part 2 of the hour-long special showcasing all of the bells and whistles that come with some of the finest driving machines the industry has to offer. This year's Chicago Auto Show showcased 5 indoor test tracks, the most ever in the Chicago Auto Show's history. Jerry Taft held his breath during a thrilling test drive in a Mercedes-Benz G Class on the Iron Sch ö ckl. The Iron Sch ö ckl track, new this year, took Jerry up on a steep angle...and of course what goes up, must come down! Also new this year is the RAM Truck Territory Indoor Track Experience. Jim Rose took the fast lane in a powerful RAM truck as it negotiated the 30,000-square-foot ultimate in-truck adventure. Part 3 of the hour-long special showcasing all of the bells and whistles that come with some of the finest driving machines the industry has to offer. What's turning heads in auto technology? From safety features to cars that know how to drive, Roz Varon hit the open road to check things out. When Roz stepped into a Mercedes E Class sedan, she discovered it really takes the work out of driving. And if she needed to turn the radio down, a wave of the hand made that happen, no problem! Roz also visited Ray Chevrolet in Fox Lake to show off their teen drive package. A parent's dream, the teen drive package, helps teens learn how to be safer drivers by giving parents a report card after every drive. Part 4 of the hour-long special showcasing all of the bells and whistles that come with some of the finest driving machines the industry has to offer. Some dealerships are going above and beyond to provide amenities for their customers. Ji Suk Yi showed viewers how high the bar has been set to cater to car buying customers during her visit to Arlington Lexus. If you're browsing for a car or waiting for service, you can take advantage of an in-house movie theater, driving range, indoor putting, fitness center and if the day has been too stressful - you can even enjoy a relaxing massage. Part 5 of the hour-long special showcasing all of the bells and whistles that come with some of the finest driving machines the industry has to offer. 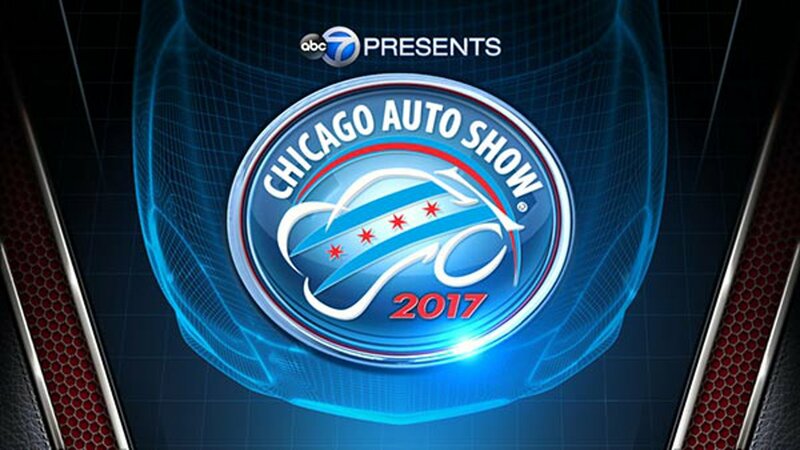 The 2017 Chicago Auto Show special returned for the 3rd year to ABC 7 through a partnership with the Chicago Auto Trade Association and ABC 7 Chicago - pairing the most watched television station in Chicago with the largest auto show in North America. This year will mark the 109th edition of the show. Part 6 of the hour-long special showcasing all of the bells and whistles that come with some of the finest driving machines the industry has to offer. Part 7 of the hour-long special showcasing all of the bells and whistles that come with some of the finest driving machines the industry has to offer. Chicago new-car dealers have been outstanding community partners, lending support to local schools, Little League teams and local charities. The 2017 Auto Show turned the spotlight on the many dealerships that embark on year-round commitments to help charitable organizations in their neighborhoods. Among those profiled were: Evanston Suburu, D'Arcy Motors, Riverview Ford and Sunrise Chevrolet. Plan your trip to the 2017 Chicago Auto Show with our Auto Show Guide.